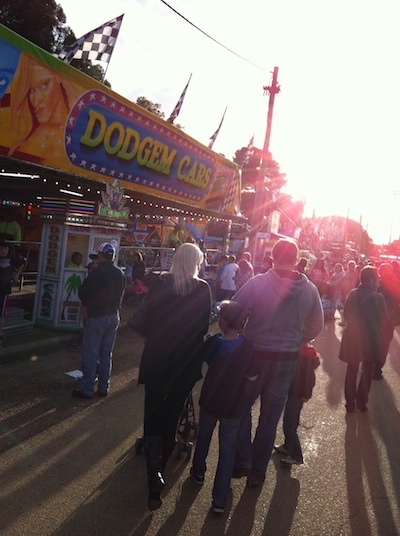 Wagga Show was this week too, coinciding with school holiday. Since there aren't a lot of interesting photos about Labour Day, we'll just post pics from it. This is the midway. It is Labour Day weekend here in Wagga. A month later than in North America, it is out of sync with many other things we associate with Labour Day: in Canada, Labour Day was a time when kids returned to school (and for those working in academic settings, those kids came back and invaded the space that had been pleasantly quiet for a few months). Labour Day was the end of summer; you could expect cooler mornings, the leaves would change colour and then fall, the days would get shorter, and, inevitably, it would get cold and the snow would come. Here, it is part way into spring (starts Sept 1 here), akin as much to the European May Day as the North American Labour Day, and midway through a tw0-week school holiday (the school year here is a bit confusing, and not having kids in it, not really on our radar). To make it even more confusing, different states celebrate Labour Day at different times. It is in the spring in New South Wales (where we are), South Australia, and the ACT. Victoria, a 90 minute drive from here, Queensland and Tasmania recognize it in March (autumn). The Northern Terrritory actually recognizes May Day in early May. But what is similar in all of them is that it is in honour of the labour movement in Australia, specifically the fact that the labour movement won us the right to work an 8 hour day. In fact, in Tassie the holiday is actually called Eight Hour Day. 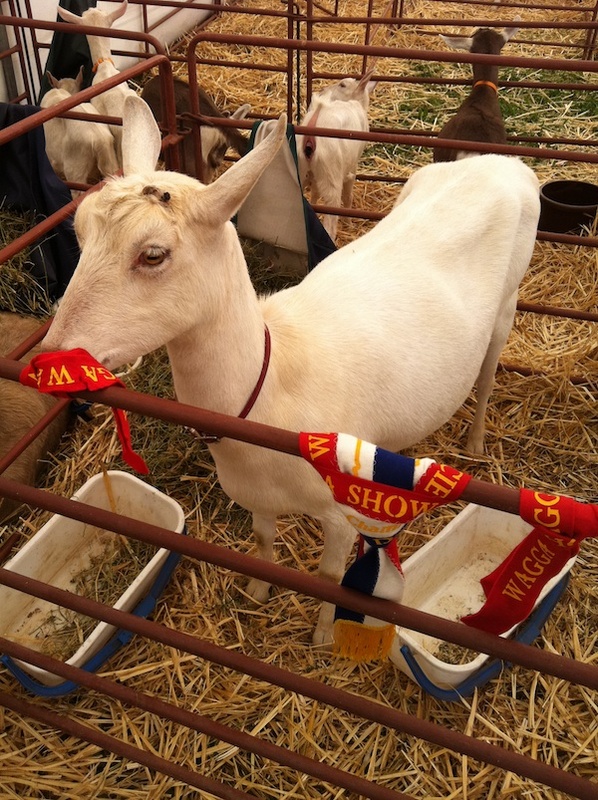 This goat won "Best in Show." Dan asked the farmer what it took to be a winning goat. He said she had good body composition, and good udder attachment. Does this mean that goats have a problem with their udders falling off? We would have judged her down though based on her horn stubs being a bit weird. This is, however, pretty silly. Who actually works 8 hours a day? Not us. Dan works 35 hours a week…sure, he works 8 hours some days, but then ends up with an afternoon or day off to make up for it; he gets paid for 7 hours a day. Lisa…well, she works between 10 and 30 hours a day most days (probably 60+ hours per week on average). But to make it even sillier, by law an employer can’t make you work more than 38 hours each week. So maybe the Tassies need to change their holiday to 7.6 Hour Day (note from Lisa: except in academia, where it would be known as 12 Hour Day… except we would celebrate by only work the normal 7)! That 38 hour per week law is one of the wonderful things imposed on the nation by a governmental bureaucratic office called Fair Work Australia. Maybe it was the Labour Movement (as opposed to the Labour Party) who standardized a 4o hour work week but then were usurped by the government, and the holiday needs to be changed to Fair Work Day. Fair Work Australia is also the government department that sets minimum wage. And, from our perspective (being a bit on the socialist side of things) they are doing a hell of a job! Minimum wage in Australia is, get this, $15.51 per hour. Sure, there are lower wages allowed for young people working part time, trainees, apprentices, etc., but anyone over the age of 20 gets at least this much. In most parts of the country (maybe not Sydney or Melbourne) it is a living wage. Compare this to Alberta where it is $9.40. Yikes! What it means is that you can have people working in service industry jobs – retail, restaurants – who actually make enough to live on, maybe not well but they aren’t starving. And they are relatively happy with their job, so you get generally good service from people who aren’t just being gnarly and acting like your request for help is interrupting an important Facebook update on their iPhone. And because the rate of pay for food-industry servers is pretty good, tipping isn’t common. In a good restaurant, you might leave up to 10 percent, but in a cafe or diner, no. Which makes those seemingly exorbitant menu prices a bit more palatable – things look more expensive here, but depending on where you are in Canada, tax and tip might be another 30 percent. Here, what you see is what you pay. Competitions at shows are pretty much the same here as the fairs in Canada - people everywhere make pickles and knit coat-hanger covers. But this is something that is unique to Australia: painted gum leaves! And though this next paragraph could have gone in a HTSA post, the word ‘penalty’ has new meaning here: it is what most of the rest of the world calls ‘overtime pay’. But it isn’t just for working over a certain number of hours (which might not actually be legal); it is for working off of the traditional business hours – meaning if a store is open on a Sunday, the employee is earning at least $22.75 per hour. Not bad for retail work. But even with this fairly high minimum wage, it seems many people (who in Canada would be stuck at that rate for years) earn more. A recent news article comparing wages of men and women (men earn more…Australia isn’t that much different than anywhere else…sadly!) pointed out that the average female retail worker earns $906 per week, which works out to over $22 per hour for a 38 hour week. Since all of those hours can’t be on a Sunday, this is a pretty good wage (men in retail, for some reason, earn about another $2/hour). Not surprisingly, retailers complain that the penalty law costs them a lot, and say that they might just stop opening on Sundays. So, yes, it is a long weekend for us, the first since moving here. Australia has fewer statutory holidays than Canada, so where we are used to having almost one per month (some not for everyone, but the UofA gave us anything that resembled a holiday, such as Remembrance Day and Family Day), we get about half of those here. Oh well, we’ll trade those days off for the climate. 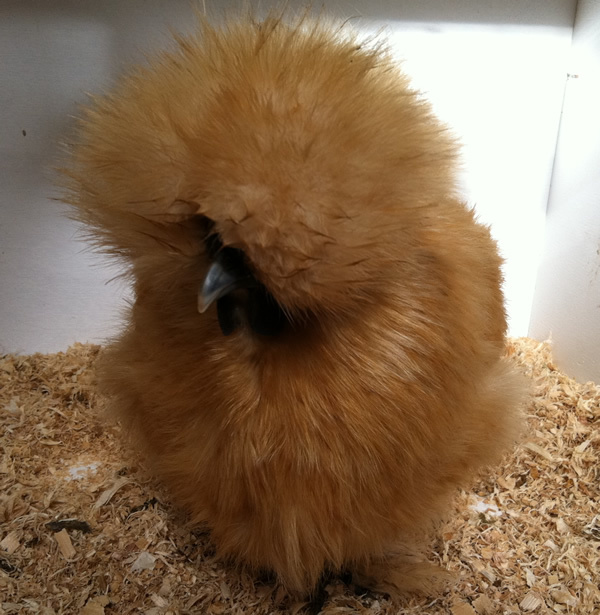 Chooks are judged by breed - Australorps, bantams, leghorns, etc. But there is also an AOV category: any other variety. 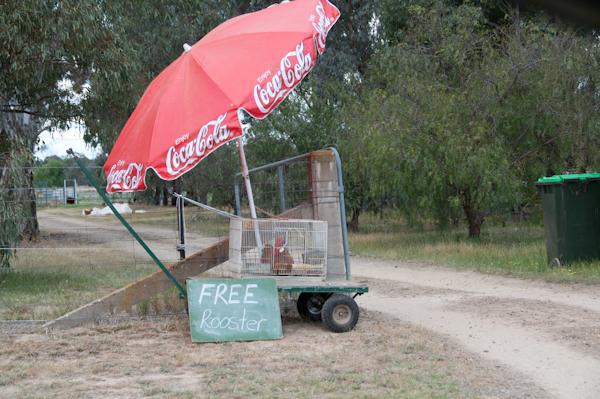 This means that Wagga allows people to enter chooks that have been bred with Pomeranians. But even more than it being a long weekend, it is a big weekend in Wagga and Australia. 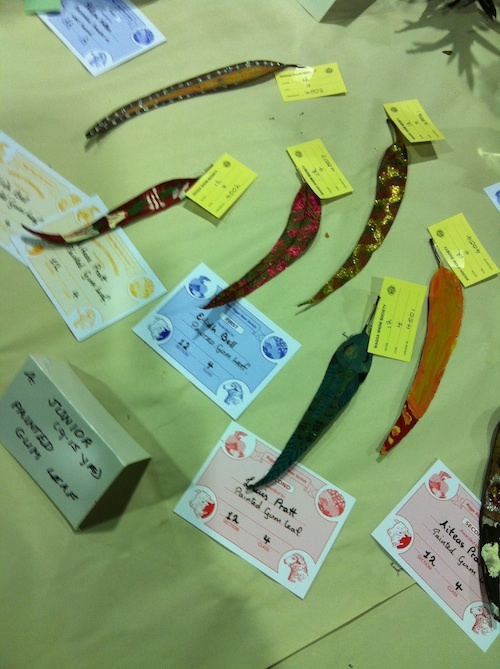 In Wagga, the end of last week was the Wagga Show. We went with some friends (who wouldn’t normally have gone) to see how it compared to Ganmain; it wasn’t nearly as good. It wasn’t the real rural experience. It had a huge midway, some cheesy ute and motocross displays, and a lot of people selling Dagwood dogs (aka corn dogs) and sausage sangas, and really horrible coffee. But there wasn’t any sheep shearing, no dogs herding sheep, not as many animals, not as many cool baking and craft competitions. And no pie eating contest. There were fireworks, which we didn’t stick around for but instead went back to the friends’ house for wine and Indian take-out; so we watched the fireworks from the middle of their street (they live on the hill that blocks our house from seeing the show grounds). There are also boat races (the Paper Tiger Catamaran competition!) on Lake Albert this weekend. And probably something else; there’s always lots going on. The ute races were just two utes, on the harness racing track. The same two utes in multiple heats. 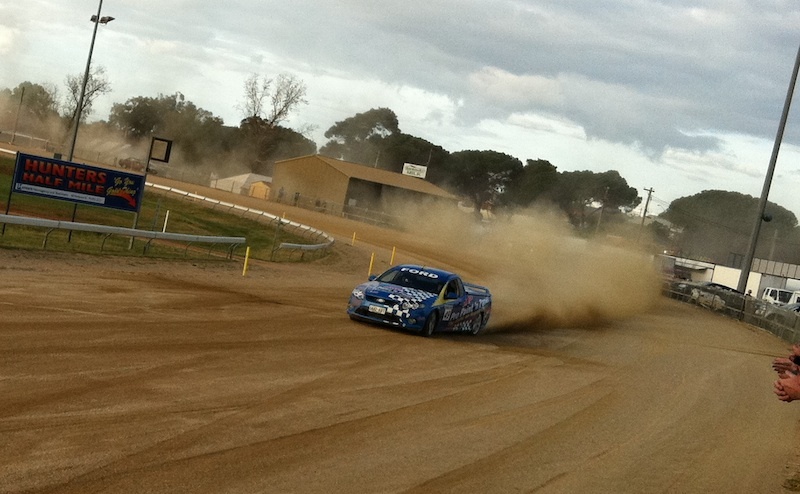 They kept going until the Holden won more than the Ford... We got really dusty watching this. And as an aside it is also a big weekend in our family – we’re sad that we are missing a wedding in Ontario…best wishes K&E! We can’t wait to see the pics. This little guy was up for grabs out by Lake Albert last week, but even if he's gone, we always see chooks at the market for cheap. This entry was posted in agriculture, Australia, birds, bogans, chook, danger, fair work, fall fairs, football, footy, goats, gum tree leaves, holidays, labour day, labour day weekend, lake albert, Melbourne, minimum wage, rural life, sausage sanga, shows, small town culture, sports, utes, wagga, wagga wagga. Bookmark the permalink. 1) The pong of chook poo isn’t exactly attractive at the best of times – and much worse in Aussie summer temperatures! 2) Leaving aside the vermin they attract, there was a British study a while ago that showed pigeon and chook fanciers had a significantly higher incidence of lung cancer – the theory was that tiny particles of feather get in the lungs.